Fruit-flavoured e-juices are ever popular and it's little wonder: nobody can match Mother Nature when it comes to producing pure and distinctive flavours. There's little better than a strawberry e-liquid for capturing that summery feeling. 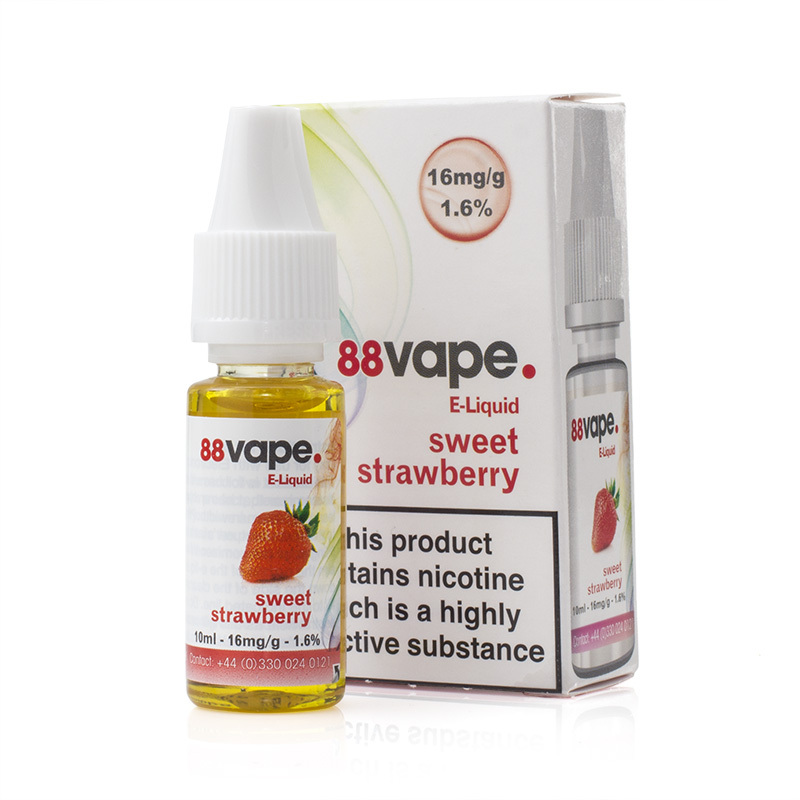 The 88Vape Sweet Strawberry E-Liquid hits the spot, time after time. Sweet Strawberry E-Juice is supplied in 10ml bottles and has two different strengths available for your preference. Ripe strawberries so refreshing and sweet you can almost taste them being plucked from the vine. 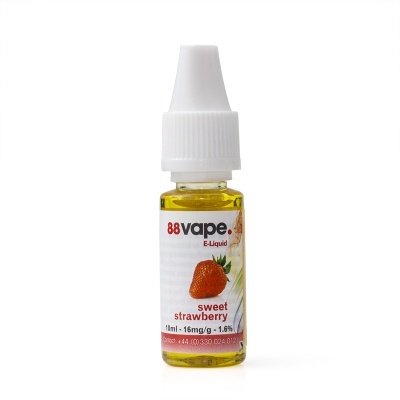 Sweet Strawberry E-Liquid has a combination of 20/80 (VG/PG) for a strongly-flavoured vape with a powerful throat hit. 88Vape Sweet Strawberry is supplied in 10ml bottles only. The best vape! Great value! Lovely taste which lasts longer than most other liquids. Thanks for the review; we're glad to hear that you're enjoying your vape. It's pretty much the perfect weather for it as well (for now at least)!